Have you picked up a pack of gum lying innocently near the billing counter while checking out from that grocery shop? If your answer is yes, then you’re a victim of impulse-shopping. Impulse-shopping is one of the major consequences of the consumption-driven modern society. Purchasing things on an impulse not only puts a big dent on your wallet but is also bad for your mental health because it provides temporary relief to anxiety or stress. Impulse shopping is generally followed by a feeling of guilt when you can’t justify the purchase that you have made. If you are one of those people who struggle with this problem, then there are ways in which you can avoid such financial mistakes and lead a more responsible life. First of all, it's important to understand that impulsive shopping could have detrimental consequences on your savings in the long-run because if you buy everything which is on your radar without analyzing whether you need it, you’re technically diverting the resources in your hand which could be used productively. Impulsive-shoppers are more prone to falling into a debt-trap. Rewarding yourself could be one of the best ways to avoid splurging for the wrong reasons. Everyone loves treats! Give yourself a little treat every month by saving up a part of your salary to get down and dirty at the shopping mall. If you’re someone who can’t help making multiple rounds to shops each month, this trick could help you in saving up more! Make yourself a splurge budget. Spare a portion of your salary to accommodate your shopping impulses. Once you’ve designed a splurge budget; you can use the pool of money to shop whenever you wish to splurge. According to Psychology Today, impulse buying is related to unhappiness and anxiety, and controlling the habit of impulse buying could improve your mental health. To avoid facing the consequences of impulse-shopping, there’s a need to understand what drives the practice. Do not shop when you’re upset to uplift your mood. Shopping while you’re unhappy will condition you to believe that splurging would help the mood, and you’ll end up spending a lot for a temporary solution to your stress. 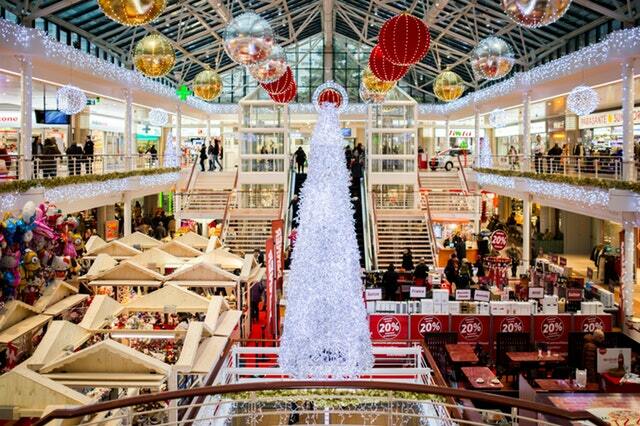 A study on consumer behavior suggests that a shocking 75% of the shopping decisions are made in the store. To prevent yourself from getting swayed by a life-size poster quoting up to 50% discount on a kitchen appliance that you don’t need, shop online. Online shopping is an excellent way of curbing the irresistible desire to buy useless things. You can use the thirty-minute rule to analyze your shopping bag and when you’ve puzzled out the things that you need to purchase, you can go for it! Budgeting is one of the most efficient ways to keep track of your finances and it's needless to say that practising budgeting could be a great help to the impulse-shoppers. Segregate your income into expenditure-heads and allocate a portion of your income to each of them. After designing the budget-sheet, follow it religiously. You can add splurge budget to the expenditure-heads which could be the residual of your salary after it has been segregated into necessities, debt repayment and luxury spending, to reward yourself at the end of the month. 88% of impulse shopping happens when the items are on sale. Jewelry and sports equipments are bought more often as compared to body care and footwear products. Shoppers who visit shops on a car instead of foot are 44% more likely to give-in to their impulses to shop. Unplanned shopping goes up by 23% when the shopping trip itself is unplanned. 14% of the impulse purchases are on food items. Take a minute to let the statistics sink in and keep these mind-boggling facts in mind the next time you’re planning an unplanned splurging. Unplanned shopping might seem like a harmless habit, but it can leave nearly 2-5% of the adults in Western economies distressed or financially crippled. The key to superior financial health is to avoid impulse-shopping, it might pump up for your mood temporarily, but it has dangerous effects in the long-run.